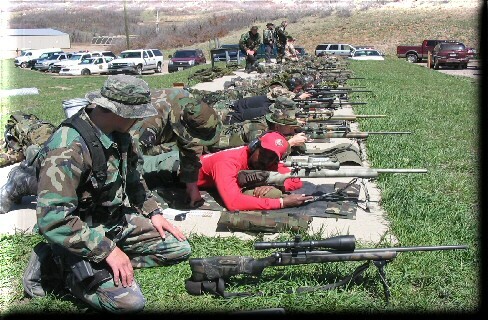 An economical way to bring quality sniper instruction to your area is to be the host for your local departments. If your agency is interested in hosting a class, CHECK HERE to download information about the mobile training program. Contact us as soon as possible to reserve dates. We expect the calendar to fill quickly, so we advise you to call for dates early. We are now accepting reservations for 2019 class dates. If you are planning to attend a class, please register early. The registration deadline for each class is 30 DAYS prior to the start date of the respective class. Late registrations may be accepted if space is available. CALL FIRST. Cancellations by registered individuals done before the 28 DAY deadline will receive a full refund. Cancellations 28 to 15 days prior to the start date of the class will receive a 50% refund. Cancellations made at or within the 14 DAY cutoff will not be refunded. Qualified substitutions are accepted in lieu of cancellations. Link to Registration Form can be found above. Registration deadline is April 6. Space is limited, so register early. Contact Snipercraft for additional details. Link to Registration Form can be found above. Registration deadline is April 20. THIS CLASS IS FULL. LOOK AT AUGUST DATES. Contact Snipercraft for additional details. Link to Registration Form can be found above. Registration deadline is April 20. Space is limited, so register early. Contact Snipercraft for additional details. Link to Registration Form can be found above. Registration deadline is May 3. Space is limited, so register early. Contact Snipercraft for additional details. Link to Registration Form can be found above. Registration deadline is May 20. Space is limited, so register early. Contact Snipercraft for additional details. Registration for this class is handled by South Florida State College. Contact the Criminal Justice Academy, Michael.Huften@southflorida.edu, 863-784-7285, for additional details. DO NOT SEND REGISTRATIONS OR PAYMENTS TO SNIPERCRAFT! Link to Registration Form can be found above. Registration deadline is June 8. Space is limited, so register early. Contact Snipercraft for additional details. Link to Registration Form can be found above. Registration deadline is June 16. Space is limited, so register early. Contact Snipercraft for additional details. Link to Registration Form can be found above. Registration deadline is July 26. Space is limited, so register early. Contact Snipercraft for additional details. Link to Registration Form can be found above. Registration deadline is August 9. Space is limited, so register early. Contact Snipercraft, for additional details. Link to Registration Form can be found above. Registration deadline is August 18. Space is limited, so register early. Contact Snipercraft for additional details. Link to Registration Form can be found above. Registration deadline is August 23. Space is limited, so register early. Contact Snipercraft, for additional details. Link to Registration Form can be found above. Registration deadline is September 21. Space is limited, so register early. Contact Snipercraft for additional details. Link to Registration Form can be found above. Registration deadline is September 18. Space is limited, so register early. Contact Snipercraft for additional details. Link to Registration Form can be found above. Registration deadline is TBD. Space is limited, so register early. Contact Snipercraft for additional details.